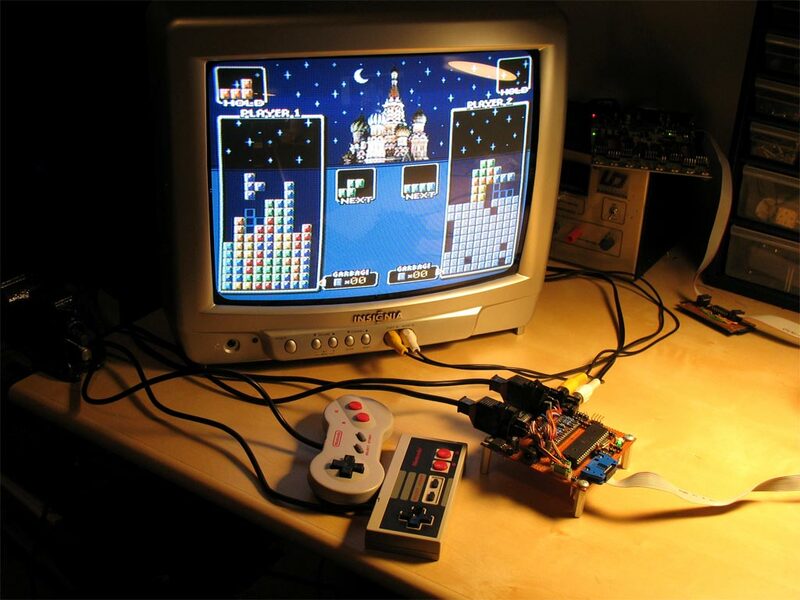 The Uzebox is a retro-minimalist 8-bit open source game console. 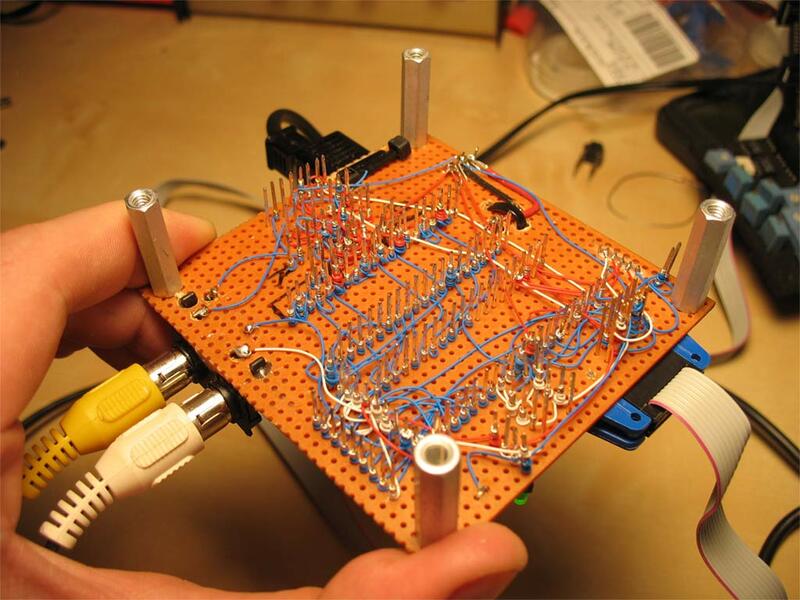 It is based on an AVR 8-bit general purpose microcontroller made by Atmel. The particularity of the system is that it uses an interrupt driven kernel and has no frame buffer. Functions such as video signal generation, tile rendering and music mixing is done in realtime by a background task so your game can easily be developed in C. The design goal was to be as simple as possible yet have good enough sound and graphics to implement interesting games. 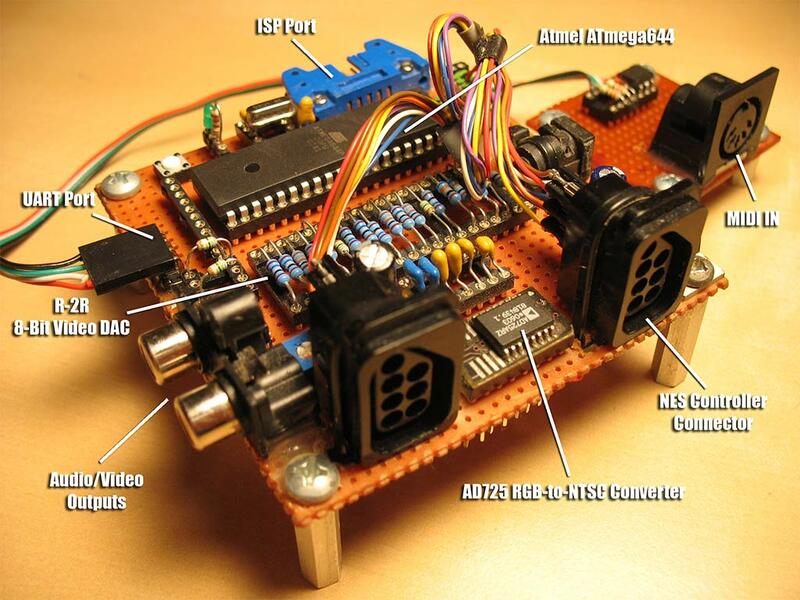 Emphasis was put on making it easy and fun to assemble and program for any hobbyists. 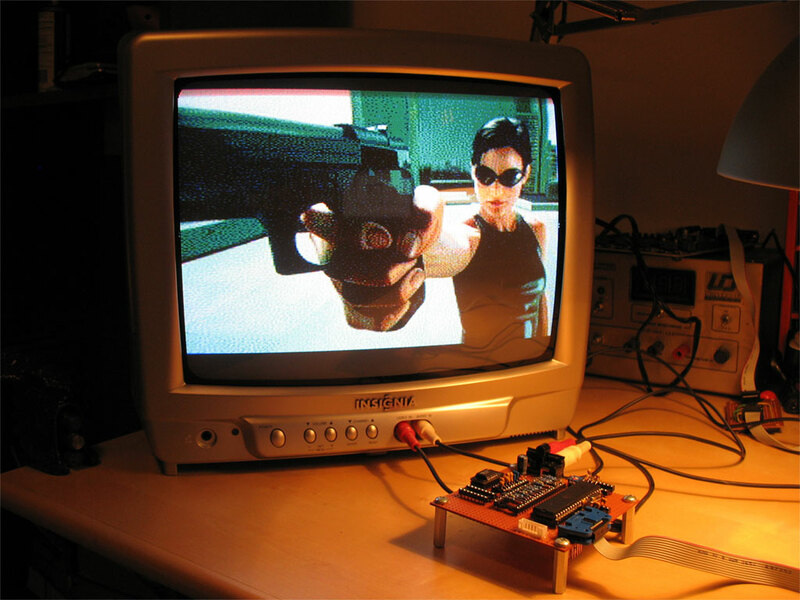 The final design contains only two chips: an ATmega644 and an AD725 RGB-to-NTSC converter. Low parts count and cost: The system is made of only two chips and discrete components. Interrupt driven kernel: No cycle counting required, sound mixing and video generation are all made in the background. 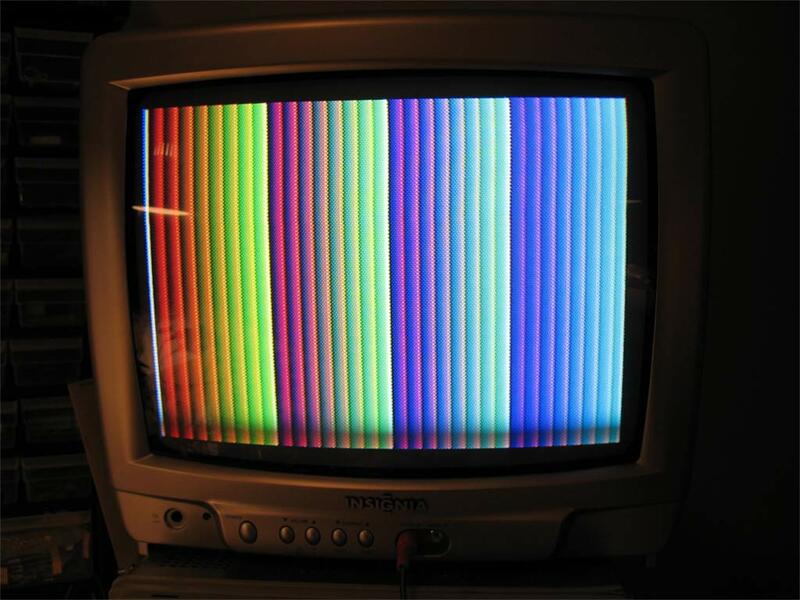 256 simultaneous colors: Accomplished by using a simple weighted resistor DAC. 5 channels sound engine: The sound subsystem is composed of 3 wavetable channels, 1 noise channel and 1 PCM channel mixed at 15.7Khz. MIDI In: With a music sequencer, allows the creation of music directly on the console. 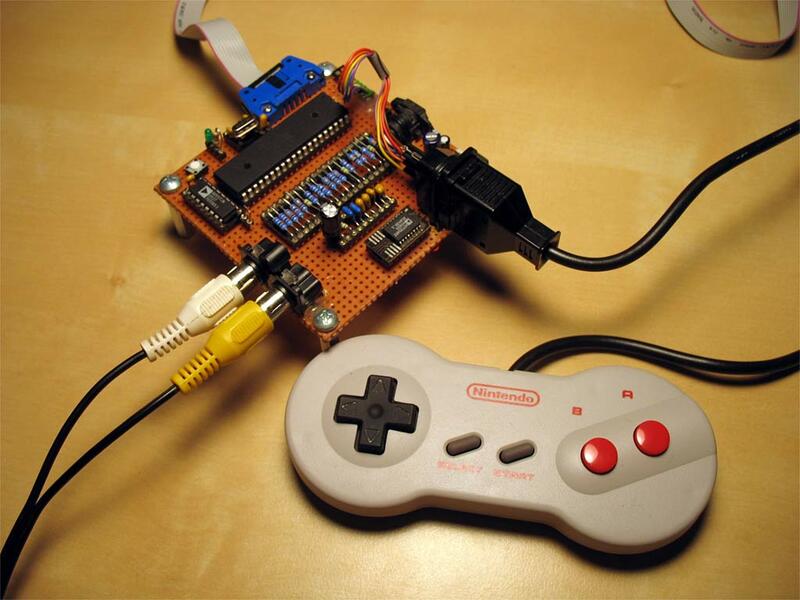 Retro controllers: The joypad inputs uses standard NES/SNES controllers interface. Expandable: I/O lines and peripherals are still available, like the UART and SPI port for one to experiment. Emulator: A fully cycle-perfect emulator that support GDB debugging. Gameloader: 4K Bootloader that loads and flash games stored on SD cards! 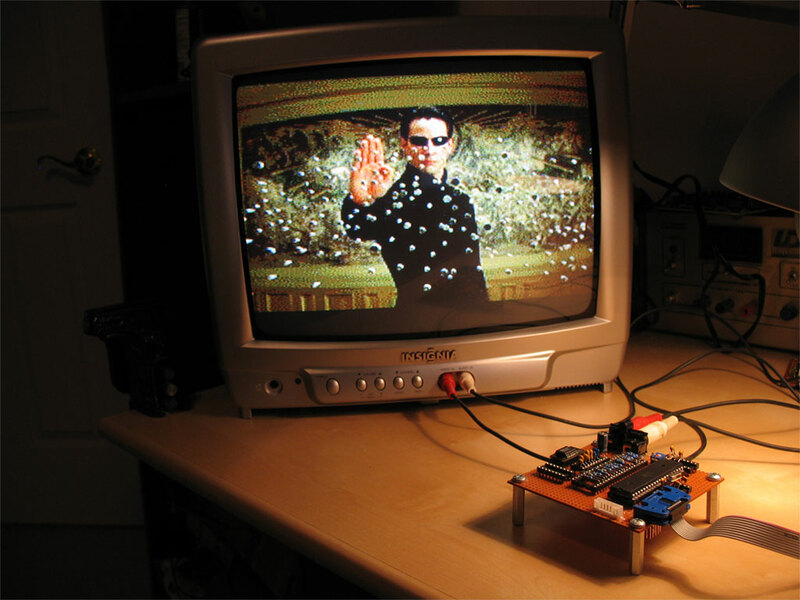 API: Develop games using an API that provides multiple video modes, sound driver and more. 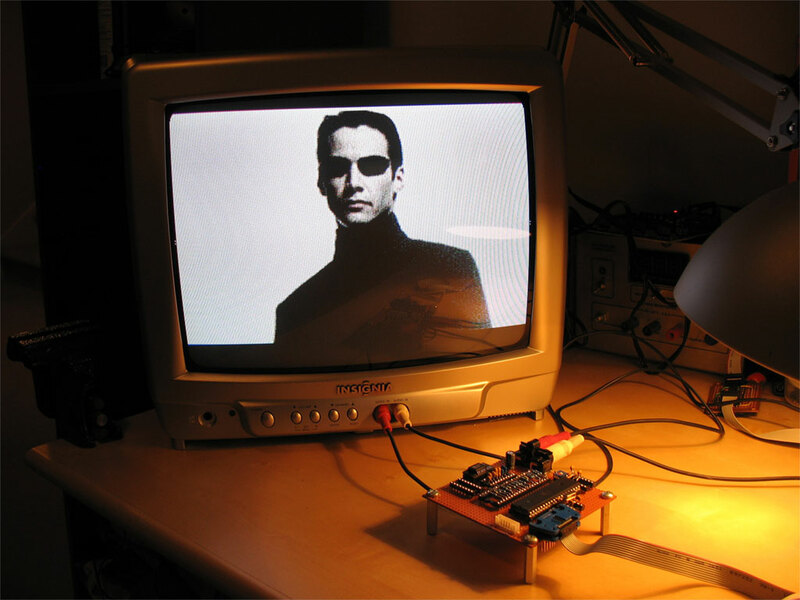 Open Source: The software and hardware design are totally free and licensed under the GPL. These videos demonstrates some of the features of the Uzebox. 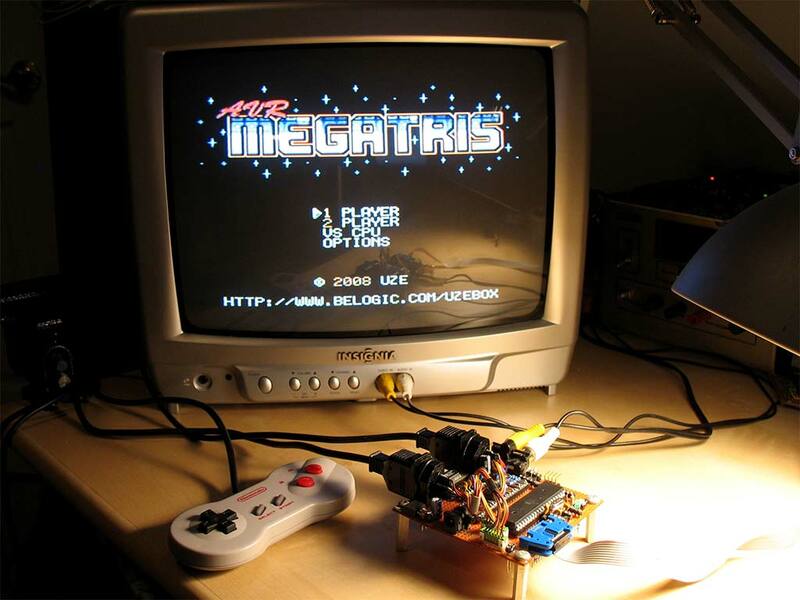 The first one is a Tetris clone named "AVR Megatris". The game is fully functional and implements most of the official "Super Rotation System" (SRS) system complete with hold block, t-spins and ghost piece...it even plays classic Tetris songs!